The topic under discussion today includes an effort towards creating applications that permit SAP applications to easily transfer valuable data to the Apple Watch. These apps include two innovative storage systems attributed to Lenovo, an interesting health-tracking band related to search engine giant Google, and word of a brand new project from Microsoft and NASA. With Apple Watch gaining on popularity charts like never before, Enterprise workers using SAP applications in the course of their jobs are looking forward to be hugely benefited. Probably, one day, they will be in a position to integrate data into some of their SAP (Systems, Applications, Products) by speaking out to the Apple watch tied onto their wrists, rather than typing in data manually on a mobile device or computer. By tying up with SAP's core enterprise apps, these users can look forward to new and better ways of getting things done. Rick Costanzo, General Manager, global mobility strategy and products at SAP, said in an interview eWEEK, "My sense is it's the next logical frontier for helping enterprise workers get their work done by using apps on smart watchesâ€, he added, "You take a look at it, and you say you have to architect your world to [everything] mobile." On June 25, 2015, Microsoft and NASA announced Side Kick, an innovative project that will be having Holo Lens report on duty at the International Space Station. NASA, in its Twitter account, has posted an intriguing video of Holo Lens, which is being put through tests aboard Weightless Wonder, which is the C9 jet belonging to the space agency and is being used for the purposes of reduced-gravity training. However, Microsoft is yet to give out the details pertaining to the release of Holo Lens. But then, this has not prevented its early partners from lining up. These supporters include, and are not limited to, Legendary Pictures, Disney, as well as Unity--premium makers of video game engines. Google is now experimenting with its own innovative health-tracking band. This band will be used by doctors and other medical professionals for monitoring their patients in drug and clinical trials, even in situations where they are located far away from health care centers and hospitals. The research pertaining to these specialized wristbands is being carried out by the life sciences group linked internally with Google Xâ€™s research division. Till date, these prototype bands are capable of tracking a patientâ€™s heart rhythm, pulse, and skin temperature; along with the levels of noise and sound exposure. On the other hand, Lenovo has introduced two novel models linked with storage area network. This took place at the venue of Lenovo Tech World, being held in Beijing. A spokesperson from Lenovo has revealed that the enterprise storage arrays: Lenovo Storage S2200 and Lenovo Storage S3200 have been specially designed for speed, scalability, simplicity, high-availability, and easy integration into just about all kinds of network environments. These particular storage arrays have on offer single and dual controllers in their 24 and 2U-12 drive configurations. While the S3200 offers support to up to 192 drives, the S2200 is responsible for supporting up to 96 drives for storage growth purposes. The other apps undergoing tests include Fiori Cart Approval that allows enterprise employees to reject or accept workflows; they can also drill deep into decision-making procedures without going through an extra step of taking out their smart phones from their pockets. The other app in this category is Deal Approval that allows rejection or approval of sales related deals and then passes the same on to iPhone for the collection of more in-depth reviews. Deal Room, which is a sales collaboration tool used for messaging and taking care of documents linked to current sales deals, is also grouped with the apps undergoing testing. Additionally, the company has also managed to build Trip It, which it prefers to term as its first consumer app related to Apple Watch. With this app on their wrist, users can access their travel itineraries easily. Costanzo said that with each passing day, the motivation behind the testing of these apps was becoming clearer than before. Now, itâ€™s quite clear that smart watch wearers are seeking new ways of incorporating them into the course of their day-to-day work schedules. He said, "It holds promise. We think wearables will be important in B2B and B2C, as well." Some of the most popular tasks that clients are already seeking for use in these Apple Watch apps are linked with inventory, warehouse product-picking, enterprise asset management, troubleshooting, and diagnostics. 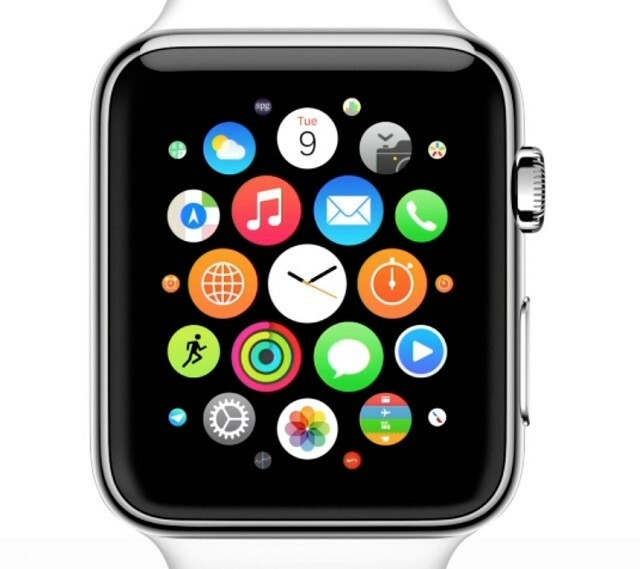 Costanzo opines, "The great thing about Apple Watch is that it's on your wrist and unobtrusive. The bad thing is the screen is small and battery life is not long-lasting. These days, various SAP's experiments are being undertaken for seeing if the company's developers are capable of coming up with more innovative ways of helping their customers complete their work. Costanzo said, â€œThere is no doubt that wearables will have a place in the future. We absolutely believe that. Our apps should be able to work on whatever devices customers want to use them on, so we are seeing where that can be done." It is expected that a lot of work related to SAP will now be enabled by the forthcoming changes in the platform linked with the Apple Watch, which will be getting a more user-friendly and updated with the inclusion of watch OS 2 OS later this year. This operating system will make the device compatible with more third-party apps and thus gain further independence with iPhones. According to Costanzo, the small screen size of the smart watch will attract the development of more apps in future. Also, it will probably include a wider range of voice command features for helping users get away from using the small sized screen. He said, With Apple Watch, you're at the very beginning of a whole new [period] of innovation. Even though the first 12 apps are now laying focus on Apple Watch, Costanzo said that SAP had other open platforms present at its core. He added that the company will also support Windows and Android smart-watches. He believes, "At the end of the day, we want to allow customers to use our software on whatever devices they want to use it on. I think this space is going to evolve very quickly."